Students and teachers at Biddeford’s Middle and High Schools have raised more than $1,200 for disaster relief in Haiti. will go to Doctors Without Borders. Bucksport Middle School, Ellsworth Elementary-Middle School, Hermon Middle School, Leonard Middle School - Old Town, Lubec Consolidated, Oxford Hills Middle School, Reeds Brook Middle School - Hampden, William Cohen Middle School - Bangor, Vinalhaven School, Winslow Jr. High School have partnered with the Garen L. Cole Disaster Relief Fund to raise money for Haiti. The Garen L. Cole Foundation will match the funds raised up to $2, 500 per school. for Life and Hope Haiti. 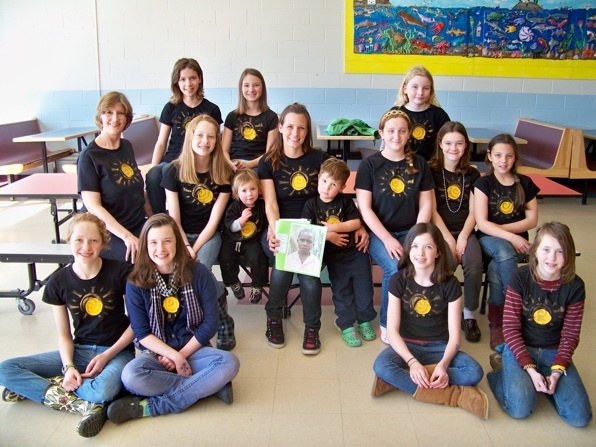 Bonny Eagle Middle School in Buxton, Maine, raised $1386.04. A huge collection water jug in the library and a "Hats for Haiti" day where students that wore hats paid $1.00, were the means of raising money. Two students on their own time ran a bake sale at their local church and donated the $99.00 proceeds to the total given by the school. Students and staff gave whatever they could: pennies, nickels, dimes quuarters, bills and checks. The monies were donated in person to David Thompson, CEO of the American Red Cross Southern Maine chapter, who came to the school for a presentation that took place on the Bonny Eagle Middle School's morning news program which is broadcast live to the entire school. 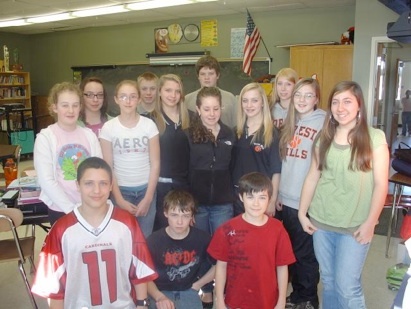 The Student Council at Massabesic Middle School in Waterboro raised over $2,000 for the Red Cross. Red Cross from a dance and coin drive. Two of the students at Camden Rockport Middle School, who are aware of an orphanage in Haiti, collected checks and cash via a collection in the school office in the week following the earthquake. $289.44 was collected through this fundraising. The week after this initial collection was finished, Camden Rockport Middle School began a t-shirt fundraising. A local artist, Carrie Hedstrom, designed a very special "Hope for Haiti" t-shirt that the school is selling through CRMS. They are priced at $20 with all profits going to World Vision Online-Haiti Disaster Relief (www.worldvision.org). $15 from each sale goes to this organization to sponsor a child affected by the earthquake in Haiti. Students, staff and community members have bought these t-shirts and many of the girls at school have been seen wearing their t-shirt proudly around school! So far the students have raised $450 (net) on shirt sales and they were able to sponsor a child from Haiti for an entire year! His name is Williamson and he celebrated his 7th Birthday earlier in February. Artist Carrie Hedstrom has said "I am overwhelmed by the support and enthusiasm of the students, faculty and parents." Speared headed by Pat Wright, Guidance Counselor Falmouth Middle School students have been collecting funds for Konbit Sante, to give the students a local connection and a Maine based charity to donate to. Involved students had the opportunity to see an interview with the director on the 207 section of Channel 6 website, and also a Youtube video about their work, and regular updates of their work with earthquake survivors going on now. A representative from Konbit Sante, who is currently in Haiti, will be coming to Falmouth Middle School to speak with staff and students who are involved in this project and receive the check for funds they have collected. Pay a dollar (or whatever you can contribute) to wear slippers to school. Pay a dollar (or whatever you can contribute) to wear a hat to school. Students made duct tape flower pens and pencils and are selling them. 8th grade students in a number of homerooms paid to eat lunch with their teachers in their homerooms.